Alice M. Soley, 91, of Massillon, passed away peacefully on Tuesday morning, January 22, 2019. Born in Massillon, September 21, 1927, a daughter to the late John M. and Helen M. (Dannemiller) Bachtel, Alice graduated from Washington High School with the Class of 1946. Her formative years were spent on the family farm. It was there she acquired an uncompromising, practical attitude, an incredibly strong work ethic, an independent spirit and an unwavering faith that served her well as a single mom raising two sons. 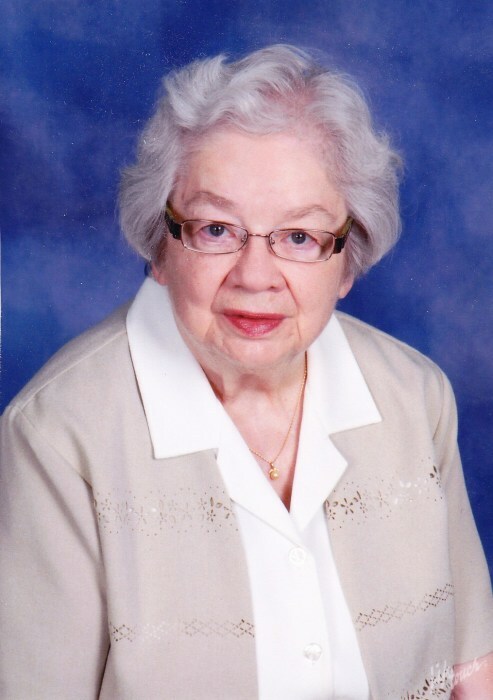 She was a faithful member of St. Joseph’s Catholic Church in Massillon and a loyal employee of the former Ohio Edison Company, retiring after more than thirty years of service. Much of her leisure time was spent doing for others as a dedicated volunteer, accumulating more than 30,000 hours in service to the patients and families of the former Massillon City/Massillon Community/Affinity Hospital. Alice enjoyed the outdoors; she loved to read and looked forward to spending time with her family and extended family – did we say she loved to read? She enjoyed lunching and maybe a game of euchre with her fellow retirees from Ohio Edison - and did we say she loved to read? Predeceased by her parents and her son, John R. Soley, two sisters and three brothers; Alice is survived by her son, Gilbert J. (Patricia) Soley, of Massillon; five grandchildren; nine great-grandchildren; her sister, Mrs. Helen Louise Dobos, of El Segundo, CA and several nieces and nephews. The family will receive condolences on Thursday evening, January 24, 2019, from 5-7:00 p.m. at Atkinson Feucht Hare Funeral Home in Massillon. Burial in St. Joseph’s Parish Cemetery will take place at 11:00 a.m. Friday morning, January 25. A memorial mass will be celebrated at a later date.